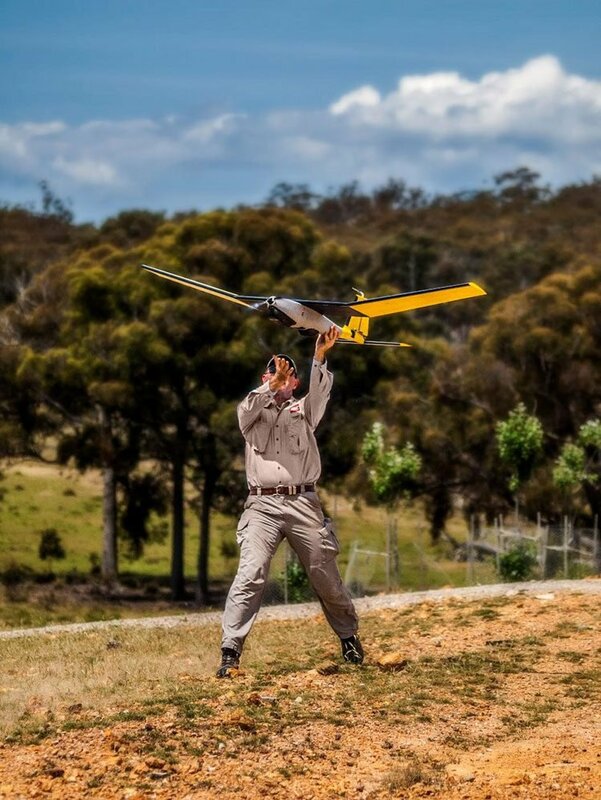 Game of Drones: ASX Stock Set for Aerial Uplift? The summer holidays are just around the corner and it’s almost time to fill the stocking, crack open a beer, wine or soft drink, or just reward yourself with a nifty little toy for all the hard work you’ve put in during the year. And one of the prized possessions on your shopping list may well be a drone. But beyond being a great idea for a Christmas present, the main cash to be made from drones is in supplying to the emergency and first responder market. The global market for Unmanned Aircraft Systems (UAS) – the technical term for drones – is estimated to grow from US$6.76BN in 2014 to US$10.57BN by 2020. 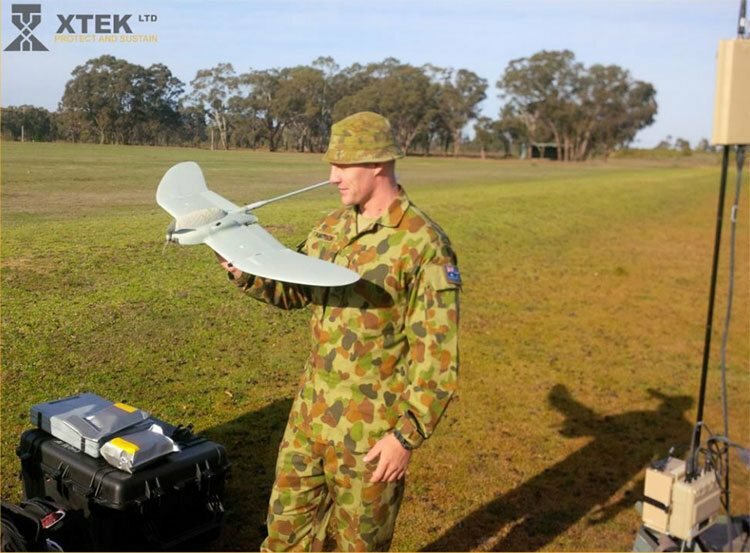 One stock that has just caught our attention is a relatively unknown ASX-listed technology company selling not only into the drone market, but also very useful products for military and law enforcement agencies, including the Australian Defence Force. This company is currently generating revenue right now from its comprehensive range of military equipment and products – in fact revenue doubled last FY alone. This Company’s latest tech generates detailed aerial imagery in real time from a drone, and superimposes it onto existing maps such as Google Maps. UAS video in context on Google Maps. This company’s latest product may soon be a must have for drones in use by government, law enforcement, and first responder agencies – and consequently has significant commercial potential. 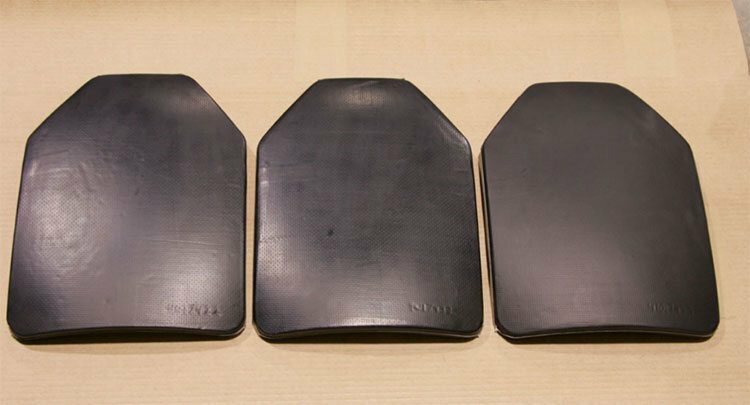 Beside the drone technology, the company was awarded a contract by the US Department of Defence, which will see its advanced lightweight hard armour plates rigorously tested. If this company satisfies the US DoD that its armour plates are up to scratch, this could rapidly open the gates on large defence contracts. The Company is currently valued at just $8.25M and is tightly held – and given there are major catalysts on the horizon, this stock could move quickly. At the same time, this is a small tech company and a speculative stock – please do your own research before considering as an investment. XTEK Ltd (ASX:XTE) is a small but thriving defence contractor that secured over $12M worth of sales last year. The company, founded in 1978 and listed in 2005, has quietly gone about developing a range of products for military and security purposes. XTE doubled its revenue from FY14 to FY15. XTatlas TM (contextual, real time video for drones) which should give it a much larger springboard to bounce into the global $2.1TN defence industry. This company is also just months away from finding out whether the US Department of Defence (DoD) would like to embrace its manufacturing technology for the production of future extra light and strong body armour. ...could unlock a huge contract into what is a very large American market. 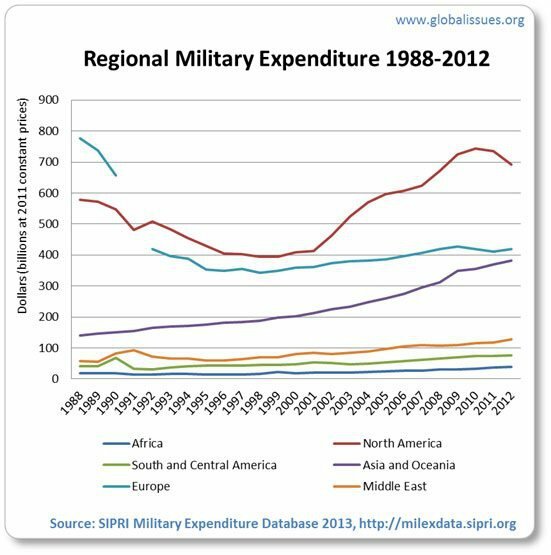 The US has one of the highest spending military bodies in the world, spending over $600BN per year – and what they buy often has an impact on the wider market. This news could be a major catalyst for XTE. In the coming months and after an intense two-year trial period, the US Armed Forces will finally see first-hand the benefits of XTE’s product. Any US deal will come on the back of a recent $7.7M Australian Defence Force (ADF) purchase order and the sale of its broader products. Having said that, there is no absolute guarantee that XTE can unlock significant revenue in a US deal – at this stage the company is participating in development and testing work only. Before we get to ahead of ourselves, let’s take a look at XTE’s performance over the past four years. 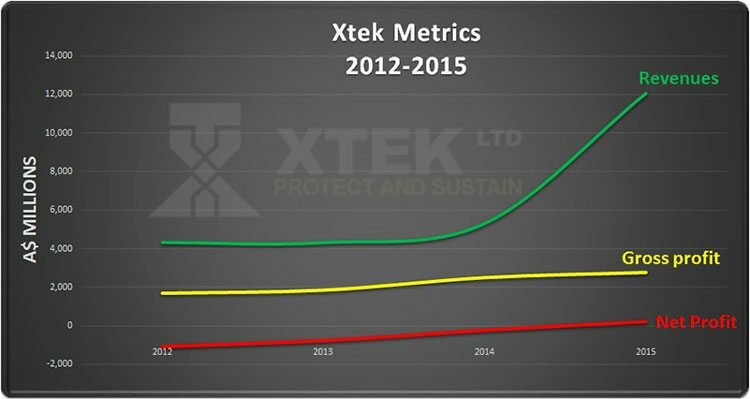 Shown below are XTE’s metrics since 2012. As you can see, XTE made its first net profit in over four years, as revenues surged on the back of the key deal reached with the ADF. The world is enhancing its defence and military capabilities – Governments spend big on their militaries and XTE is therefore positioned to supply high-value products into an industry that maintains growth and resists the effects of recession and lower consumer spending. In fact Composite Forecasts and Consulting LLC predicts the production for UAS for military is forecast to grow from 4,500 units in 2015 to 7,000 in 2020. 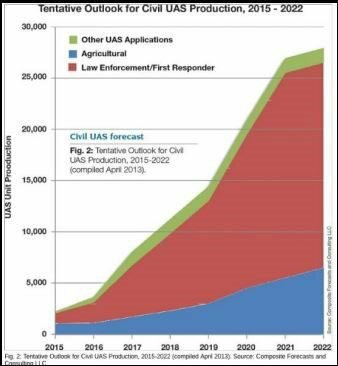 Meanwhile civil UAS production is forecast to grow from approximately 2,500 units in 2015 to over 20,000 units in 2020. 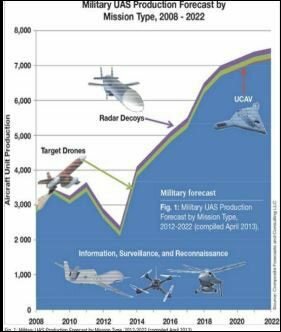 Forecast Production for Military UAS to 2022. And the numbers as stated earlier will see the global UAS market rise to $US$10.57BN by 2020 and Commercial US market to grow to $US1.27BN. As with all small cap stocks that are still trying to bloom, having the necessary capital to conduct operations is pivotal. This is another point which makes XTE attractive. XTE has zero debt, but more importantly, has access to $10M in equity financing if needed. XTE can raise cash very quickly through its deal with an investment fund called Kentgrove Capital. XTE has the ability to issue shares up to the value of $10M at a 5% discount to a VWAP over the placement period, with the deal structured in XTE’s favour so that XTE retains control of the pricing and draw down of the facility. The facility allows for Kentgrove to provide XTE with a series of placements valued between $100,000 and $500,000 over the coming three years which should enable that XTE is able to fund the rollout its XTclave and XTatlas technologies for the foreseeable future. Given the sales potential here, let’s find out what XTE’s key products are all about. XTatlas is a unique, real-time mapping solution that uses drones to obtain a highly detailed video view of any terrain and overlay it with existing maps that are available such as Google Maps. XTatlas essentially allows the user to scout swathes of territory via real-time video footage captured from a drone, and overlay this onto any existing map. 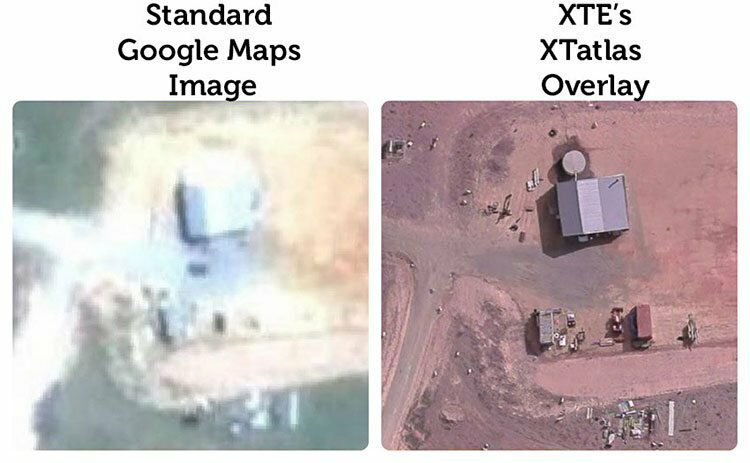 XTE’s XTatlas allows the user to overlay live video footage taken from a drone onto an existing map – in real time. Prior to XTE’s solution, accurate mapping was done manually after the drone had already landed. With XTatlas all of that can be done in real-time which vastly improves surveillance situational awareness... imagine the implications and uses of this new technology. Key to this technology is that the product can be deployed on XTE drones. 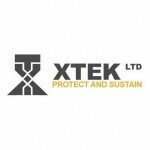 Take a look at the below video showing the range of drones that XTEK sells. 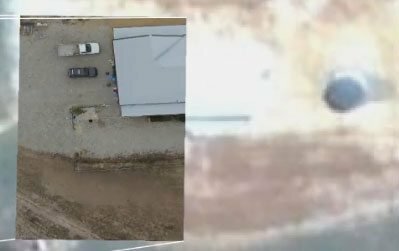 One of the drones you are about to see was the one bought by the Australian Defence Force (ADF) in a contract value of $7.7M earlier this year. XTE’s close quarters work with both the US DoD and the Australian DoD, indicates that despite XTE’s small size, it’s still a significant innovator in its industry. XTE is focused on providing XTatlas to the Defence and Commercial UAS markets. This will include XTatlas software sales, UAS sales and partnerships with multiple UAS suppliers to integrate XTatlas into their own systems and build and sell XTEK XTatlas capable UAS. XTclave is another of XTE’s products that really caught our attention. XTclave is a patented process to create advanced ballistic protection laminates and lightweight structural composites. In other words, armour that is potentially lighter and stronger than anything else currently being developed. The XTclave manufacturing process (pictured below), uses liquid pressure to form lighter, stronger and stiffer objects in composite materials. This technique is rather different to the current status-quo of using air pressure. Liquid pressure is both faster and more powerful than air pressure as well as providing greater precision during manufacturing. XTE’s patented process facilitates cost savings as well as an improved product. This translates to equivalent strength for less weight or greater strength for the same weight. The XTclave could well be a revolution for armour plate production, and it’s all XTE’s. XTE’s novel way of manufacturing body armour has gained the attention of the US Department of Defence (DoD) who awarded a development contract worth US$1.5M in 2013 for the development of advanced lightweight hard armour plate solutions using XTclave. That’s right – the US Department of Defence has chosen XTE’s tech for its Foreign Comparative Testing (FCT) Program. The mission of this Program is to test items and tech of foreign allies and friends that have what they call a high ‘Technology Readiness Level’, in order to satisfy US DoD requirements. Needless to say, it’s not easy to get your tech in front of the US Department of Defence – so XTE has done very well to have its tech advance to this stage. The development period for the contract was initially two years and XTE is about to finally provide the US Military with data of how it’s technology can enhance future armour plate designs. The US market for hard armour protective plates is estimated to be around US$2.2BN between 2017-2022. One of the most compelling aspects to XTE is that it is focusing on using breakthrough technology to develop solutions for the defence industry. This is important because future wars and conflicts are unlikely to rely more on human beings, but rather, turn to automated machinery such as drones, satellites, remote controlled vehicles and even humanoid robots . Therefore, companies focusing on building and supplying the most robust solutions to enable militaries to reduce their reliance on manpower are likely to have the best chance of long-term success. Not only that, but these technologies can be further incorporated into day-to-day living as well as into the response of emergency services. XTE has a strong range of products, generating over $12M in revenue last year and has government contracts coming in – but the company is currently only capped at around $8.25M. This is the type of scenario we like to look for at The Next Tech Stock – an undervalued, tightly held company that may well be poised for a potential re-rate on the back of a big contract. Beyond the XTclave and XTatlas, XTE has a whole suite of other products. XTE develops, builds and sells its own hardware but to ensure a vast range of solutions, XTE also imports and distributes a range of other products. Overall, XTE supplies over a hundred different products ranging from rifles to explosives detection kits. XTE Weapons and Ancillaries imports and distributes a range of firearms, ammunition, and accessories for use by Defence and Law Enforcement. These include a range of high quality lethal and non-lethal products. XTE also manufactures customised enhancements which bolt-on to the original product. XTE’s drones allow real-time tactical reconnaissance, tracking, combat assessment and geographic data, sent directly to the small tactical unit or individual. UAS are being deployed increasingly in the commercial sector for their portability and flexibility with a huge variety of applications. These small, lightweight systems can be used in a range of applications, from environmental monitoring and agriculture to surveying and geological services. And even Australia Post is in on the action and ready to roll out drone deliveries as early as next year. Research done by Drone Analyst reveals that 82% of consumers surveyed would pay to have their good delivered by a UAV. 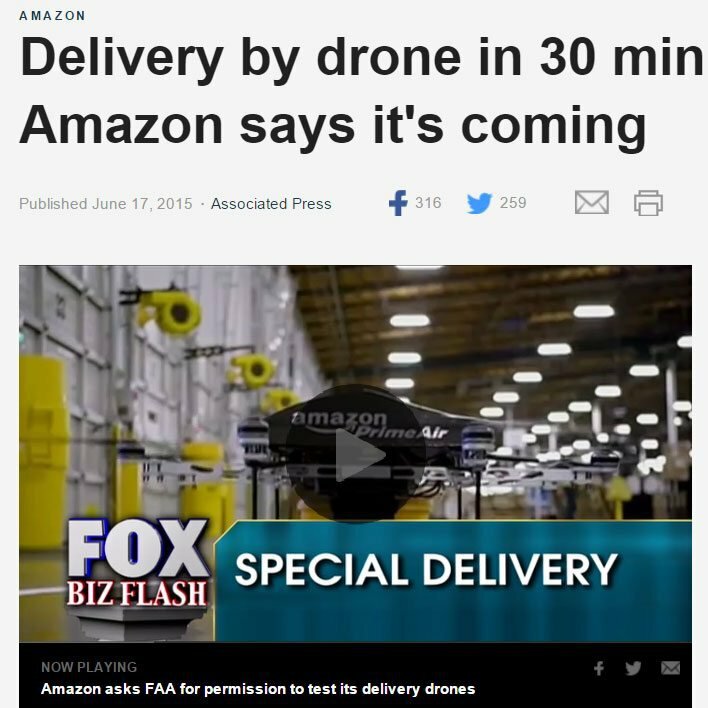 The drones aren’t just coming – they’re already here. Even the average Joe can buy a top-end, highly capable drone for as little as $1259 or a selfie drone for under $200. This is the kind of market XTE can ultimately enter here – one with strong growth forecasts, on top of the larger law enforcement and first responder markets. XTE’s forensics unit has been supplying Australasian police and laboratories with high quality instruments and products for over 15 years. XTE currently offer a wide range of equipment for crime scene examination and recovery, forensic document examination, latent fingerprint examination equipment, forensic biology and trace evidence analysis. 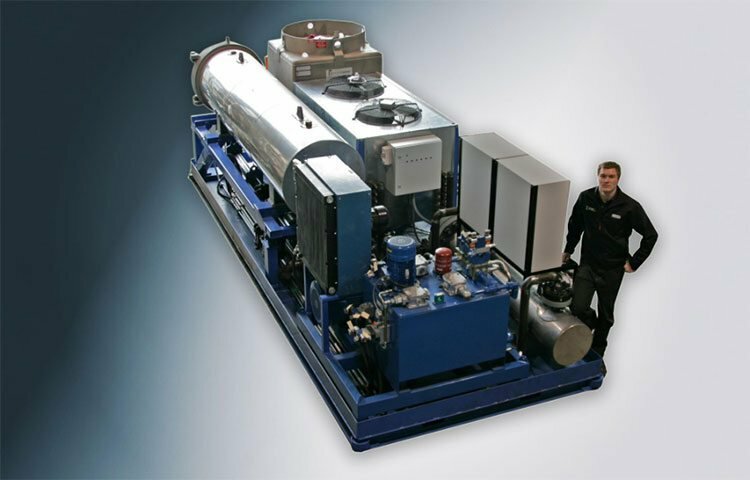 XTE provides portable X-ray equipment and bomb disposal solutions for a variety of applications. Typically used by soldiers on the front line when working with IEDs and land mines, bomb disposal solutions are also used by police forces and security companies. 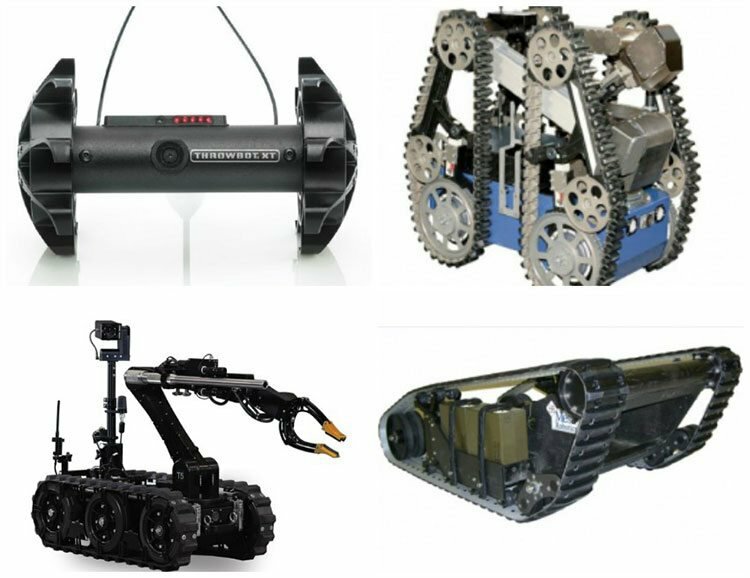 XTE is one of the ADF’s primary suppliers of portable X-ray equipment, search, detection equipment, Hook and Line EOD tools and RPV robots. XTE has the capability to augment existing off-the-shelf products with the backing of an experienced engineering and maintenance division. Shown below is just a handful of some of the products that XTE currently sells. Warning: These are not toys for your stocking! But they look pretty cool all the same. XTE also supplies local and national law enforcement agencies with apparatus such as shields, helmets, metal detectors and non-lethal weapons. When investing into any market, it’s worth having a think about its future longevity and sustainability as a long-term investment. 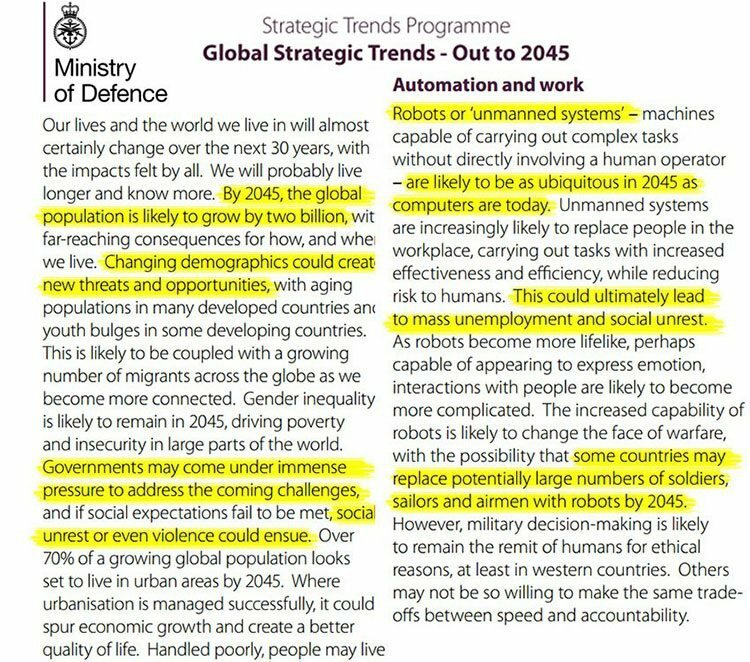 According to a report published by the UK Ministry of Defence , by the year 2045 the world will have 2 billion more people which will bring significant threats (and opportunities). If you have the time, the lengthy 200 page report is a highly recommended read for anyone thinking of investing in the Defence as a sector – but you can get the main points from the image above. Please note, investing in this sector bears risks just like in any other, so before investing in this stock, investors should weigh up all factors before pulling the trigger, so to speak. XTclave is a manufacturing technology to make lighter, stiffer and often complex shaped composites. This can be used in personal body armour, helmets, aircraft and weapon components which are typically used by the military. XTatlas is a tool that generates detailed aerial imagery and superimposes it onto existing maps such as Google Maps. It’s done in real-time which makes it particularly relevant for domestic law enforcement and emergency response markets. Together, XTclave and XTatlas are unique to XTE with the US and Australian authorities already working with XTE. Possibly the most important aspect for XTE investors is the performance on the ground and that’s where XTE is also excelling. Having turned its first profit in six years, XTE’s revenues have been growing strongly with room for more over the next few years. And the most surprising aspect for astute investors will be the fact that XTE is capped at just over $8M when it generated over $12M in sales last year and made a small profit. In many ways, this tightly held stock has gone through an inflection point this year whereby all its graft and hard work is starting to pay off. In terms of blue sky potential, XTE is currently commercialising select novel solutions, any one of which could become a hit and end up being adopted en-masse. With so many factors dovetailing together, we feel XTE is an undervalued, yet prospering ASX minnow, packing a huge punch.